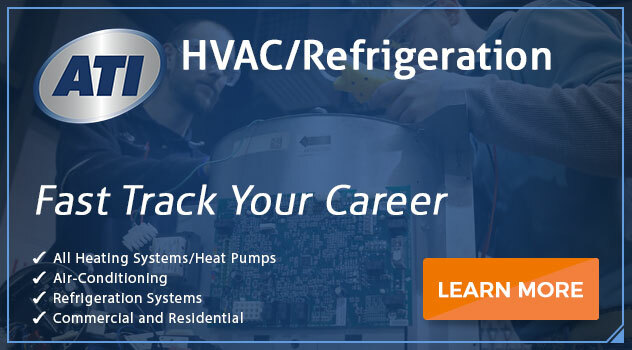 The length of training needed to work in HVAC industry can run the gamut, from a short course leading to a certificate as an HVAC technician, to a more lengthy training. This could lead to an associate degree, depending on the level of responsibility you want to work toward. We’ll assume for now you’re interested in starting out as a technician, possibly with an eye to moving up or even doing your own thing someday. The best bet for those entering the industry but who want a thorough grounding in the technology is an associate degree. Yes, HVAC technicians often go the route of getting a certificate, with on-the-job training in an entry-level job. But as with most fields, the more education you have, the better prepared you will be when you start looking for a job. Enrolling in a college degree program while you’re working an entry-level job in the field can give you valuable training as well as experience, so that you’re well prepared for advancement by the time you graduate. Most HVAC training programs can be completed anywhere from six to 24 months. Going the longer route and earning an associate degree can sometimes help the future technician substitute part of an apprenticeship program, which typically lasts four years, and usually includes classroom instruction with on-the-job training. An apprentice typically will study sheet metal work, pipefitting, blueprint reading, plumbing, refrigerant handling, electronic and electrical components, and airflow physics. What Kind of Training do HVAC Techs Usually Have? 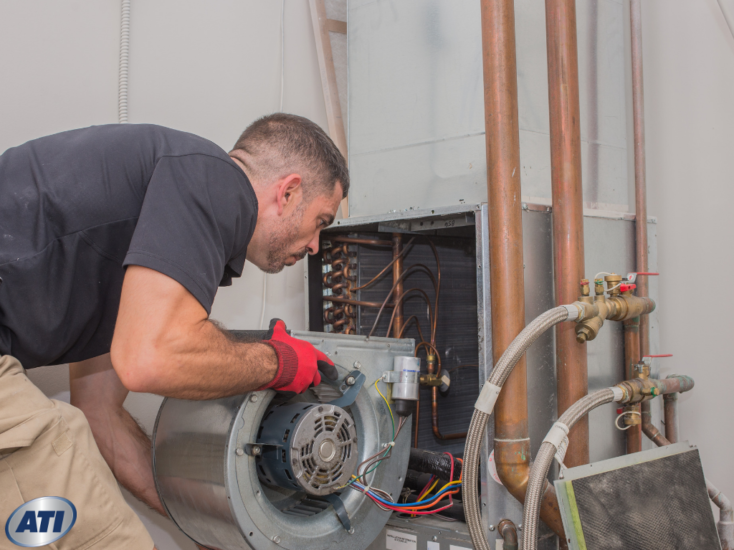 Although most HVAC technicians are trained in a general way to handle a wide range of tasks involved with these complex systems, some technicians do tend to become more specialized. For instance, an HVAC installer might work for a contractor who builds new structures, so will be more attuned to performing installations than repairs. Other techs might specialize in refrigeration or air conditioning, while others might be more inclined toward working on heating (furnaces, boilers, etc.) or ventilation. Once you have your associate degree, you will likely have to study for and be tested in various technical skills so that you can obtain certifications. For instance, most HVAC technicians need to be certified in safely handling refrigerant, a hazardous substance. While you don’t have to join any national associations, a number of them offer career support and certifications. One of the foremost is North American Technician Excellence, or NATE, which offers industry competency exams in service and installation specializations. Depending on where you work after graduation, you may also need to obtain some sort of licensing, although many states allow the technician to work under the license of the HVAC contractor. If you’re thinking about enrolling in an HVAC training program, you may also want to consider if you have the other skills needed for success, aside from the formal training. For instance, you will need a certain level of strength, as you will be moving and picking up heavy equipment and tools. You will also need to be available at times for long hours and weekends when you’re called to help in an emergency. You should also be able to communicate well with others. You will likely be explaining technical matters to people who don’t have a good understanding of how their HVAC systems work. Repairs or installations are often somewhat expensive, so you may have to allay a customer’s concerns about costs, explaining why the repairs are needed, the scope of the repairs, and an estimate of how long they will take. Most important, you will need to be reliable — to show up on time, to do the job as efficiently as you are able, and to have the right tools and equipment on hand as often as possible. You should also enroll in classes that will improve your communications and writing skills. It may also be helpful to look for a program with a service management component, particularly if you want to move up to manager level or eventually start your own business. You can climb the ladder in the HVAC industry from an entry-level technician’s job to a manager’s position with the right degree. Why not start your career in HVAC by enrolling in Advanced Technology Institute where you can pursue an Associate in Occupational Science Degree in HVAC Technology with Service Management specialization? Connect with us today for more information! Previous PostHow Hard is Learning HVAC: How Can I Succeed in School? Next PostLearning How to be an Auto Mechanic: Is It Right for Me?